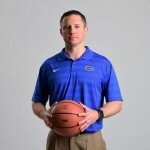 Just as it looked like the Florida Gators were getting it all together in recruiting, head coach Mike White has lost his top commitment from the Class of 2017. Four-star guard Shai Alexander (Chattanooga, TN), the No. 43 player in the nation and Florida’s highest-ranked pledge, has decided to reopen his recruitment, according to North Pole Hoops. 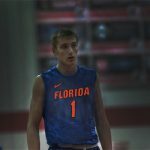 Alexander originally committed to the Gators in Nov. 2015 just two weeks after being offered by Florida. White locked him up at a time when he was underrecruited nationally, but now the 6-foot-4, 175-pound shooter appears to be interested in seeing what else is out there. According to 247Sports, the Gators and Alexander met up three times in September, which makes his decommitment even more puzzling. His only other major-team visit came from Virginia Tech. Losing him drops the Gators out of the top 10 class rankings for 2017. 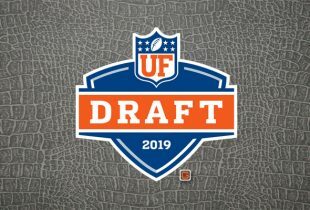 Though there are some reports Florida still has a chance to land Alexander again, the Canadian product will reportedly take a few more visits before coming to a decision this fall. 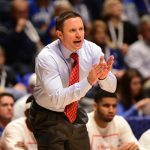 The rest of the Gators’ 2017 class includes four-star forward DeAundrae Ballard (Atlanta, GA) and recent commit three-star F Chase Johnson (Huntington, WV). Florida is now ranked as the No. 43 class in the nation, No. 8 in the SEC. for the construction of the team, senior point guard Kasey Hill and graduate transfer Canyon Barry will open two spots with their departures this year. A big season for sophomore KeVaughn Allen and the Gators could lose three guards, making it even more important they sure up that position in this recruiting cycle. Rumor has it that the schools he wanted to visit would not allow an official if he was still committed to us. I believe the decommitment is just a formality so he can go on OV, he will be a Gator again!